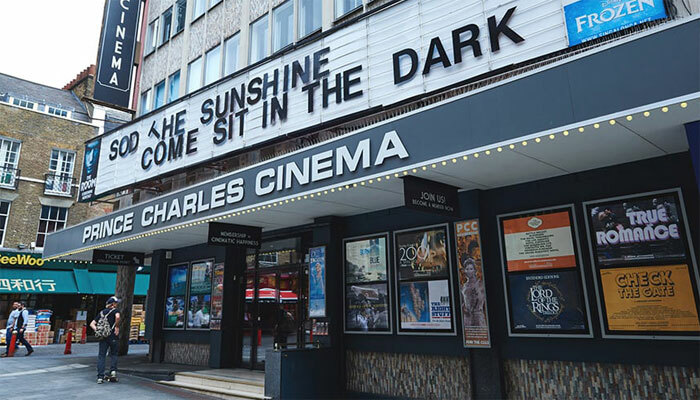 London’s film scene is a changeable beast, but some stalwarts stand above the fray and the Prince Charles Cinema is one of them. My first experience of this intimate art-house cinema right by Leicester Square – where all true Londoners fear to tread – was watching Eastern Promises back in 2007, months after it had left the bigger, pricier screens. The PCC can’t afford to be first with the big films, plus its booking policy favours quality rather than spectacle, but I couldn’t have had a better introduction to the place. As Viggo Mortensen saw off assassins in a sauna, I experienced Cronenberg’s tale of Russian mob intrigue in London in perfect cinematic clarity, affordable beer in hand. You’ll never want to see a film anywhere else.